[S1128] The Sheffield Indexers Baptism Records, online http://sheffieldindexers.com, Jane Baker, 3 October 1821. [S393] 1851 England Census, Yorkshire County, Sheffield, England, GSU Roll 87588-87589. [S592] Jane Mahony's Death Certificate, 5 January 1890, Toxteth Park. [S1128] The Sheffield Indexers Baptism Records, online http://sheffieldindexers.com, Jane Baker, 3 October 1821; shows father as William Baker. [S215] Certificate, Joshua Mahony and Jane Baker marriage of 21 March 1842, shows father as William. [S1128] The Sheffield Indexers Baptism Records, online http://sheffieldindexers.com, shows: Baker, Jane (of Sheffd, born 1821-07-29) Parent name(s) are Mary & William (silver plater). [S1128] The Sheffield Indexers Baptism Records, online http://sheffieldindexers.com, Jane Baker, shows birth as 29 July 1821. [S393] 1851 England Census, Yorkshire County, Sheffield, England, GSU Roll 87588-87589, shows age 29. [S385] 1861 England Census, Yorkshire County, Sheffield, England, GSU Roll 543138, shows age 39. [S382] 1881 England Census, Yorkshire County, Sheffield, England, GSU Roll 1342122, shows age 59. [S592] Jane Mahony's Death Certificate, 5 January 1890, Toxteth Park; shows age 69. [S215] Certificate, Joshua Mahony and Jane Baker marriage of 21 March 1842. [S592] Jane Mahony's Death Certificate, 5 January 1890, Toxteth Park; shows wife of Joshua Mahoney. [S603] Henry Mahony, Birth Certificate (17 February 1845). [S605] Frederick Mahony, Birth Certificate (15 January 1849). [S503] Sheffield Records Online, online www.sheffieldrecordsonline.org.uk, White's Directory, 1852. [S607] Eliza Mahony, Birth Certificate (29 June 1852). [S610] Elizabeth Mahony, Birth Certificate, shows birthplace as 21 Holly Street, Sheffield, Yorkshire, England (28 March 1856). [S469] Derbyshire History, Gazetteer & Directory 1857, Chapter Title: Trades and Professions in Sheffield; Section: A; Page 921. [S469] Derbyshire History, Gazetteer & Directory 1857, Chapter Title: Sheffield Alpabetical Directory; Section: L-M; Page 864. [S604] Amelia Mahony, Birth Certificate, shows birthplace as 21 Holly Street (12 September 1864). [S602] Herbert Mahony, Birth Certificate, shows birthplace as 21 Holly Street (26 March 1867). [S382] 1881 England Census, Yorkshire County, Sheffield, England, GSU Roll 1342122, shows residence as 63 Holly Street. [S385] 1861 England Census, Yorkshire County, Sheffield, England, GSU Roll 543140. [S500] Certificate, William Mahony and (Her)minia Stanton marriage of 24 July 1859, shows that they were both widowed. [S1128] The Sheffield Indexers Baptism Records, online http://sheffieldindexers.com, William Mahoney; shows mother as Jane Baker. [S1128] The Sheffield Indexers Baptism Records, online http://sheffieldindexers.com, Henry Mahony; shows parents as Jane Baker and James ? 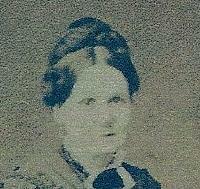 [S393] 1851 England Census, Yorkshire County, Sheffield, England, GSU Roll 87588-87589, shows mother as Jane Mahoney. [S603] Henry Mahony, Birth Certificate, shows mother as Jane Mahony, formerly Baker (17 February 1845). [S490] International Genealogical Index (IGI) Harry Mahony, Christening; 29 March 1846, Sheffield, York, England. shows mother as Jane Baker. [S604] Amelia Mahony, Birth Certificate, shows mother as Jane Mahoney, formerly Baker (12 September 1864). [S608] Mary Jane Mahony, Birth Certificate, shows mother as Jane Mahony, formerly Baker (25 October 1850). [S607] Eliza Mahony, Birth Certificate, shows mother as Jane Mahony, formerly Littlehales (29 June 1852). [S604] Amelia Mahony, Birth Certificate, shows mother as Jane Mahony, formerly Baker (12 September 1864). [S1128] The Sheffield Indexers Baptism Records, online http://sheffieldindexers.com, Amelia Mahony; shows mother as Joannae Baker. [S383] 1871 England Census, Yorkshire County, Sheffield, England, GSU Roll 847229, shows mother as Jane Mahony. [S592] Jane Mahony's Death Certificate, 5 January 1890, Toxteth Park; shows Amelia Boadle, daughter. [S602] Herbert Mahony, Birth Certificate, shows mother as Jane Mahony, formerly Baker (26 March 1867).